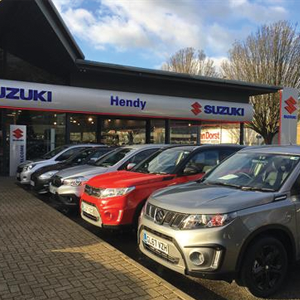 Suzuki GB PLC is pleased to announce the opening of Hendy Suzuki Crawley in West Sussex. The state-of-the-art dealership in the Manor Royal Business District, which is operated by the Hendy Group, adds to the current Hendy Suzuki location in Tunbridge Wells, Kent. The seven-car, 290 square-metre showroom has the full Suzuki product line-up on display, including the recently-launched Swift supermini and IGNIS compact crossover, plus the hybrid Baleno hatchback. The Suzuki team, which also counts a Motability specialist, is on-hand to help motorists choose the right vehicle based on their requirements and budget, and visitors to the dealership can relax in the hospitality area and interactive Tech Zone. Furthermore, there are full servicing and MOT facilities on site with dedicated bays for Suzuki customers, and the exterior forecourt offers an array of affordable, low-mileage Approved Used Suzuki cars. A range of highly affordable 0% APR finance packages are on offer at Hendy Suzuki Crawley. For example, the five-door 1.0-litre Swift SZ-T is available for £159 per month based on an initial deposit of £1,916 and an optional final payment of £4,905. Similarly, the 1.6-litre Vitara SZ-T Kuro compact SUV requires a deposit of just £3,390 followed by 42 monthly payments of £199 and an optional final payment of £7,001 at the end of the term.